I had shrimp friend rice from one of my favorite Chinese restaurant. Thirty minutes later I had nausea and vomited five times. I also had a glass of grape juice that tasted funny. I assumed it was the juice. Yesterday, I had more of the refrigerated shrimp fried rice and again vomited profusely. Now I know it was the shrimp friend rice that caused my food poisoning. I will never order that dish again! I was diagnosed with knee bursitis about a year ago. I was experiencing a burning pain in the back of my knee. It felt like a rubber band that was pulled tight. It felt like a bubble in the back of my leg behind the knee. I could bend it one minute, the next minute I couldn't. Excruciating pain one minute and not too much the next. I took indomethacin. Pain began on top of the kneecap with just minor irritation to the touch. Gradually it increased to severe pain when bending the knee or walking. I saw an urgent care physician's assistant who suspected bursitis, but is sending to my general physician who will take it from there. I am expecting a cortisone shot. I do not remember injuring the knee, but I did play tennis 2 or 3 times a week before the pain began. I hope to be back on the court in a few days but might be dreaming. I went to a state park and in an effort to walk across a stream fell on my first step hard on my left knee. I had a huge gaping wound, lots of blood and bone bruise. I stopped the bleeding with a torn up trail map; not so good. I favored it for 5 weeks, did see my doctor a few days later, and then boom, swelling, intractable pain, and local fever! I was inpatient for 5 days, had 3 knee taps and IV Ancef. I'm really sick now from the oral antibiotics. Knee bursitis is nothing to be messed with. First time I got bursitis of the knee, it wasn"t painful at all. The inflammation came very slow and lasted about 8 months and went away by itself very slow as well. Yesterday it came back but fast, in about 2 hours I was in pain. I couldn"t sleep so I got up to reach for an electric pad but my body started shaking terribly. I guess my body temperature went down drastically, which made me think the bursa was internally infected. My whole body was now in pain (sort of flu symptoms). Tomorrow I"ll visit a rheumatologist for diagnosis. I was having an abortion which resulted in my having sepsis and being hospitalized. It was done by a doctor, who used a method causing sepsis. Having been near death and suffering through the trauma I am lucky to be alive. I have been drastically losing bone in my lower jaw at an extremely high and fast rate! I need to know why. I do suffer from degenerative disc disease, degenerative joint disease and spinal stenosis. I've already have had 3 operations on my spine and have been told that I may need a 5th one! I have been taking prescribed pain medication for about 10 years now. Recently I had all my lower teeth removed due to soft and bad teeth that was hereditary. I had 4 implants put in my lower jaw 2 hold my denture in place about 2 years ago. Since then I lost 2 of my implants and I am losing my bottom jaw bone at a very fast rate! I can't figure why this is happening to me. I'm a fit 70-year old male, 5 ft. 10 in. and 150 lbs. Right knee (prepatellar) bursitis reoccurs when I fail to "warm up" properly before using a quad-strengthening machine. Although I have used such weight machines regularly over the past 40 years, together with a lot of bicycling, I can actually feel the "pop" if I fail to warm up first. Right now, I've had 3 days of intense pain and tenderness along the lateral aspect of the knee cap, with nighttime stiffness and pain. Direct application of ice cubes and gentle castor oil massage (20 minutes, 5 to 6 times per day), 400 mg ibuprofen (3 to 4 times per day) and "working" the joint typically allow me to resume full use in a few days. The condition was diagnosed many years ago as gout. It's not, but bursitis and gout can be equally painful and both will restrict range of motion. Out of the blue a flaming burn feeling will go across my lower back and just go away. Then at random times my right knee will start burning and stop me from walking, then it will subside but my leg will kind of drag along, then will return to normal in a day or so. Sometimes my left knee will do the same thing. I have moderate fall risk because there is no leg muscle function at times too. A few weeks ago I knelt on my right knee to pick something up off ground and got this dreadful burning sharp sensation on the outside of right leg near the knee. I cannot kneel on this knee. It feels like, I guess a rubber band stretching about to break. I am tender on the bottom part of my knee where I kneel. I haven't told the doctor. I am being treated for bursitis of shoulder but nothing is working. I also have MS (multiple sclerosis). I am tired of always having something wrong with me. I had to clean my oven one day, and over an afternoon, I knelt on the hard kitchen floor off and on about three times in total to scrub the oven. As I did this, I was kneeling on my right knee ... and then later, this knee became very sore. It stayed sore for four weeks. It was hard to bend. Although I could walk, I could not do much else with it, and it was very painful, and swollen. Finally, I dragged myself off to the doctor. (Yes, I know, I should have gone earlier!) My doctor prescribed an anti-inflammatory for my knee bursitis that I have taken for five days and has made quite a difference. I will keep taking the prescription for another week, and I hope it will improve even more. No more kneeling on hard surfaces for me! I waited a little to long to see a doctor for my knee bursitis. I have swelling all the way to ankles. Infection has set in. First day on antibiotics is worse than yesterday. The sides of my knee are very tender. Never knew it could be so painful. A minor bump to the knee caused all this. I have had knee pain since September of 2012 and it got worse in October. It had me in the doctor's office in late November getting x-rays, injections, and now I have been doing physical therapy twice a week. The pain in my knee has been unbearable until I recently got antibiotics for an ongoing sinus infection that I had back in July. I started taking them last Thursday January 3, 2013 and as of today am living with a near normal knee. I still has a bit of pain but I honestly do believe that I did have an infection in the bursa of the knee. At least with all of the research I've done over the last few months it now has pointed to this. Every one out there people suffer with knee pain do not give up hope. I am a 37 year old female. I work in a retail store that requires me to frequently kneel to fix items on the lower shelves of the stores and to be on my feet standing or walking for 8+ hours with no break. I noticed pains in my leg when I would lie down to sleep. My knee would be stiff and swollen after working a shift. Now its several months later and I have a bubble of fluid on the knee cap. I cannot kneel on it as it feels like I'm kneeling on a bubble and is painful. I'm hoping doctor will drain it for me when I go in a couple of days. My son is 12 years old and has this. It happened when he was eleven playing flag football. I have had two different doctors examine him. Because he is so active, we now ice immediately after tackle football and baseball (he catches, go figure). When he plays football, he wears volleyball knee pads from Under Armour that help a lot. Both doctors have said he is the youngest patient they have seen with knee bursitis. 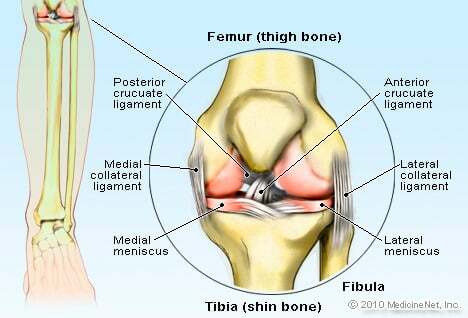 Swelling and pain occurred in the front of the knee and toward the inner side of the knee. I have had bursitis for about three months. I have had physiotherapy for it, which gave me relief for a while after, but it didn't cure it. I have been doing exercises: bending the knee and pulling it up toward the chest as far as I can go 10 times, three times a day. Also, I have been walking in a pool up and down for half an hour. I have knee bursitis and I have burning pain on medial side of knee when bending the knee, upon standing and walking. The deep layers of skin and tissues are very tender to pressure from the outside. I had swelling in both knees for no apparent reason. Went to my acupuncturist and had treatments once a week for four weeks and drank some tea he put together, three times a day for the entire time he was treating me. I placed heat over knees whenever I could and now the swelling and pain are gone. I skinned my knee really bad about 2 years ago. It was so bad that it would randomly start dripping fluid down my leg. Gross I know. After a long time it healed up. I thought it was just my skin that got damaged but now I think I have mild bursitis. I can walk and run perfectly. One thing I cannot do is kneel. If any pressure is on my kneecap, I get very sharp pain. It also feels like there is a lump under the skin. My knee bursitis symptoms are redness, no warmth or pain unless bending knee and climbing stairs. Redness has covered kneecap for months. A week ago I suddenly felt this pain in my knee. It was like it was out of position and I've had difficulty walking. I've just taken Ibuprofen tablets for the pain and hoped it would get better. By the Monday I couldn't handle the pain anymore and went to my local Day Hospital where I was diagnosed with inflammation in the knee and put on a course of antibiotics. My knee is quite swollen with fluids 8 weeks after my fall onto broken wire fencing in the barn, gashed my knee open and required a few stitches. Doctor removed a syringe of fluid at the time of examination; put me on an antibiotic for a week/10days. Failed to tensor bandage the knee at that time and six weeks later returned to doctor who informed me I should have done so from the beginning. Now I have a huge baseball of fluid on my knee and look deformed. I have kept it wrapped with a tensor bandage and now 8 weeks later, nothing has changed. I am concerned this will be a serious problem down the road and at my age(69) is not a good scenario. I am a 16 year old female who has had juvenile arthritis for 14 years. At first I thought the pain in my right knee was just arthritis pain yet it kept getting worse this continued for almost a full year. When I went to go see my doctor after an MRI it was discovered to be bursitis. I am going to have it injected later this week and how that this will solve the problem. I'm 72 years old and recently a bubble appeared on the front of my right knee just below the knee cap. It is about 2 inches in diameter and is protrudes out about 1/2". I went to an orthopedic surgeon and he had me wrap my knee in an Ace bandage. He gave me a prescription for meloxicam 15 mg. medication worked great. I can move all parts of my body better now, but the bubble didn't go away. On my second visit he aspirated the fluid and replaced it with cortisone and another medicine. It's been a week and the bubble is still there. The Dr. said he may have to do surgery to repair. I don't remember if he said he would repair the bursa sac or remove it. I have no pain nor am I limited in what I can do. I had torn meniscus in both knees after a fall. Both were fixed but in the-rays, it showed pink in the area around the tears. Two months later, I still have a bulge on the inside of both knees. I can't stand for long and it tires me. Tylenol for Arthritis helps. Having been hit by car about 7 years ago, my knee then became inflamed to point of muscle spasm or the like. Feeling of water came from knee and could feel on my clothes (no water was, in fact, present by the way). It was quiet for most part until about 7-8 months ago when all three bursa were inflaming at different time, then at the same time. It was painful to point of tears. Chiropractic did help after all the limping. Now I'd like an x-ray as it has settled into a "bony" pain. I keep walking as well as elevating and ice. "Move it or lose it" except I want x-ray's to know exactly what I'm dealing with. On July 1st. while walking, I tripped and fell on an uneven sidewalk, terribly bruised/skinned my left knee. It has been aspirated 3 times and injected once with cortisone, now it is totally black from leakage from the bursa, some swelling but feels like a blister that has been opened and it burns and hurts. Orthopedic doctors say to put heat on it now (used ice for the first two months) and just wait for it to heal. I have had my knee drained twice and had I cortisone the 2nd time it was drained. There is no infection but it fills up with fluid basically 3 days later. I have had this problem for three months and I am concerned that it won't get better. This definitely sounds like what is happening to both my knees. I'm 34 years old and a new mother of an 8 mo. old. Over the last couple of months, I've developed pain in both my knees. My knees feel warm to the touch and especially hurt when I kneel on them. I haven't been to a doctor yet, but now I think I know the cause. I play-crawl with my baby, bathe her while on my knees, kneel to cut her nails, kneel to pick up her toys, I'm kneeling a lot these days. Now that I know about bursitis of the knee, I'm going to think twice before kneeling. I fell hard onto my right knee. It was sore for a week but then a plum size swelling appeared sticking right out. The pain was much less but I couldn't kneel. It was drained with a simple needle and syringe. It was full of thick dark blood. The next day I was in agony. It swelled turned bright red and was so hot you could feel it before even touching it. I was given antibiotics but the pain was excruciating and preventing sleeping. It is still bright red but extending above and below the knee. I am going to the hospital today. I never should've left it so long. The pain has forced me to get treatment. Do not wait if red and hot. 55 year female. I knelt to file in lower filing drawer and felt squishiness. Over the past couple of weeks, this has hardened and is very painful on the outside of the knee when kneeling, which I try to avoid at this point. Fell heavily on patella three months prior. Out gardening. Next day woke up with very swollen and painful knee. Sent to hospital. Treated with antibiotics intravenously. Five days later, knee has reduced swelling and pain. Surgeon treating with continued aspirations. Surgery was considered; however appears to be responding to fllucoxacillin sodium ca 500mg.